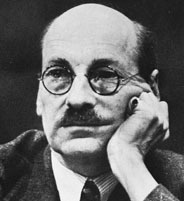 This text opens with a commentary on the work, chiefly domestic, of the post-war Labour Government, led by Clement Attlee, based on a scrutiny of the background and values of the ministers involved. There follows brief potted biographies of the thirty politicians upon which the essay is based. In each case, in as abbreviated form as possible, the background of each of these thirty ministers is described, before a final paragraph of the contribution each made to the post-war Labour Government.